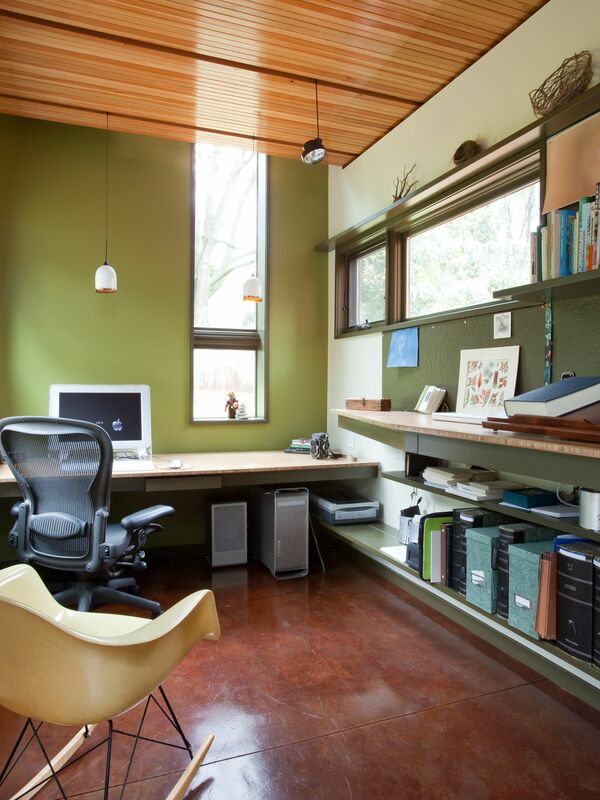 This addition to a 1950’s cottage provides quiet work areas for the owners, both university professors. 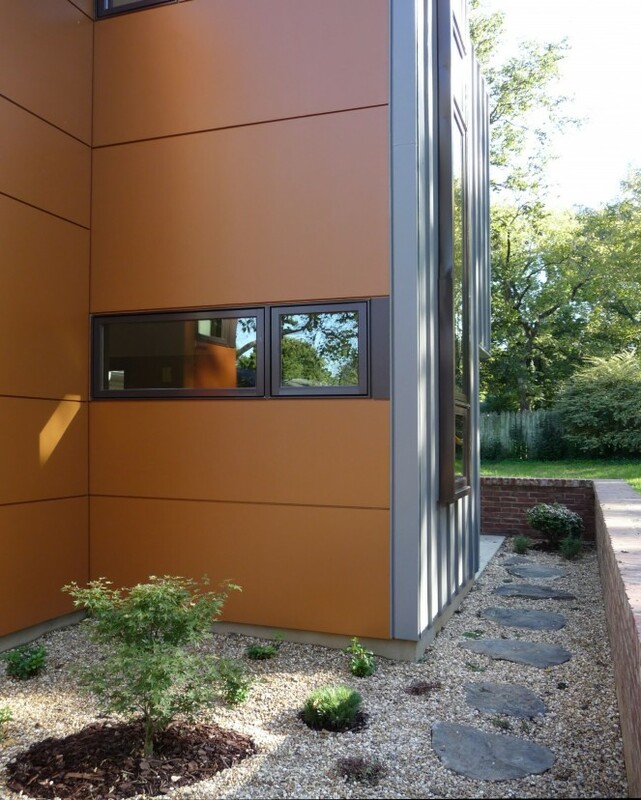 The building uses rainscreen siding fabricated from MDO plywood. 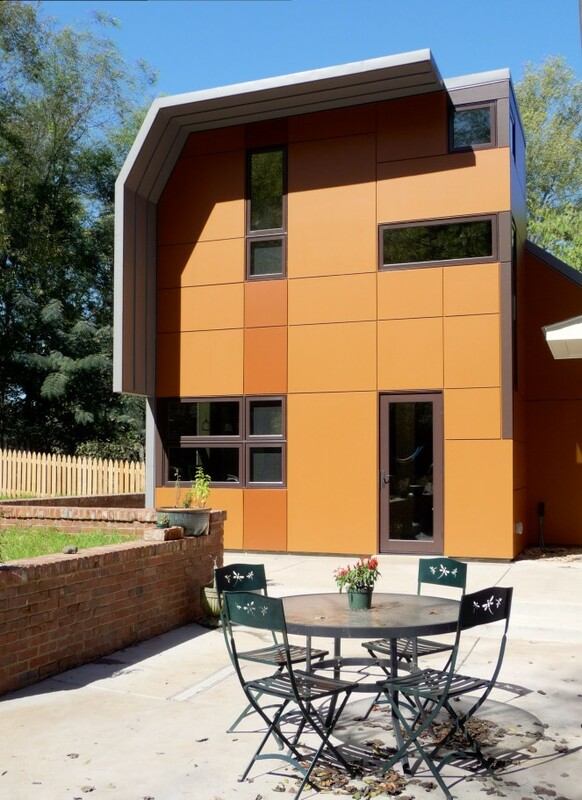 Colors match existing brick. 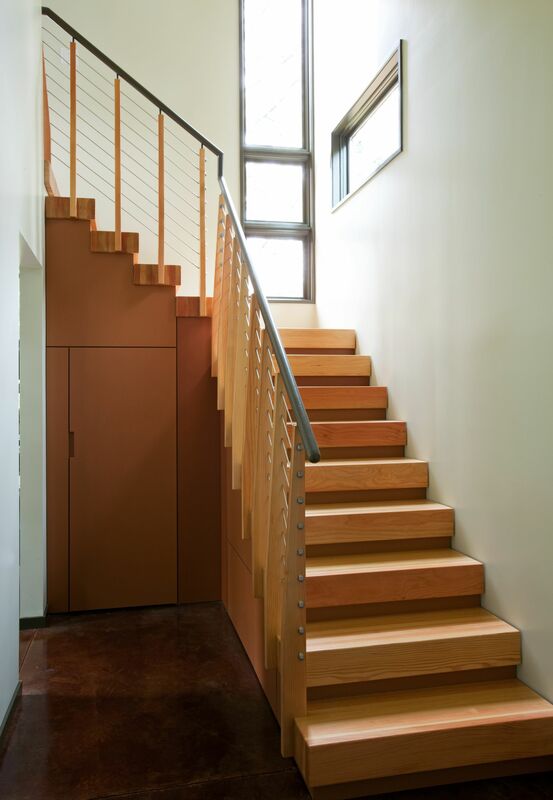 The downstairs study has a stained concrete floor and pendant lights recessed into the wood ceiling. 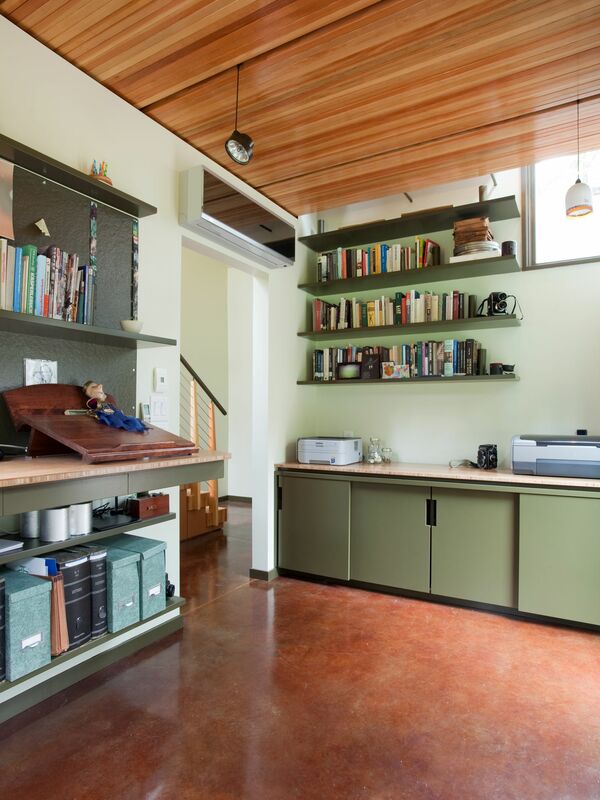 Built-in shelves and casework are tailored to the owner’s needs. The stair doubles as a gallery for the owners’ photography. The upstairs study is light and open. The floor is a solid slab of Douglas Fir lumber. 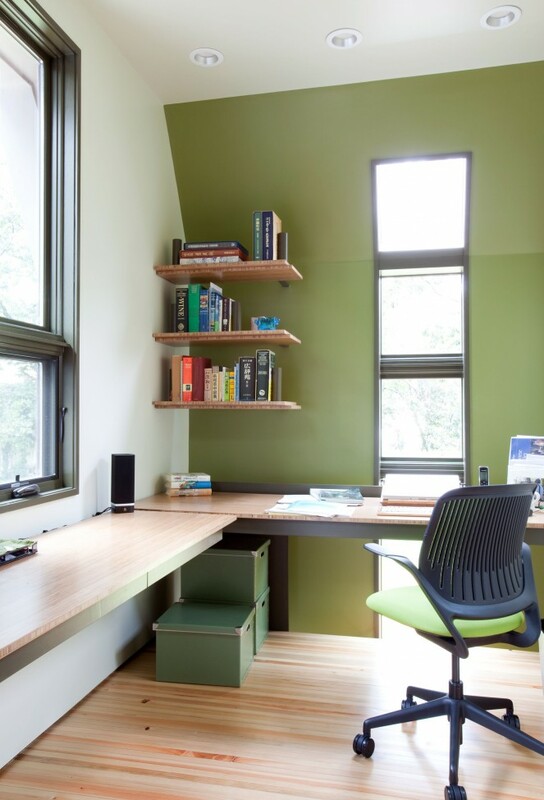 Custom-designed shelves are integrated into the space, and maximize book storage.